How to free up space taken by windows 7 virtual machine on ubuntu host? I tried to install windows 7 ultimate as a virtual machine on a ubuntu host machine. Due to lack of space the process of installing was aborted. However I found that it ate up space in my home directory. 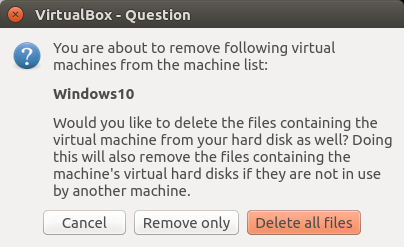 I tried removing VirtualBox. But it is not freeing up space. What can I do to get my home directory cleaned up? Virtual Machines store their own data on disk as individual files outside of the VirtualBox (or VMware, depending on your setup) configuration files and folders. As such, you need to find where you initially saved the virtual machines (probably somewhere inside your /home/$USER directory), and delete the actual folders and files that were created for the VM. That will free up the space on disk. That will free up your space. It might be in a folder labeled "VirtualBox VMs" or "My VMs" or "Virtual Machines" or similar in your home folder, but there's no way for me to tell from this system. Any virtual disk attached to another VM can not be deleted by this. Not the answer you're looking for? 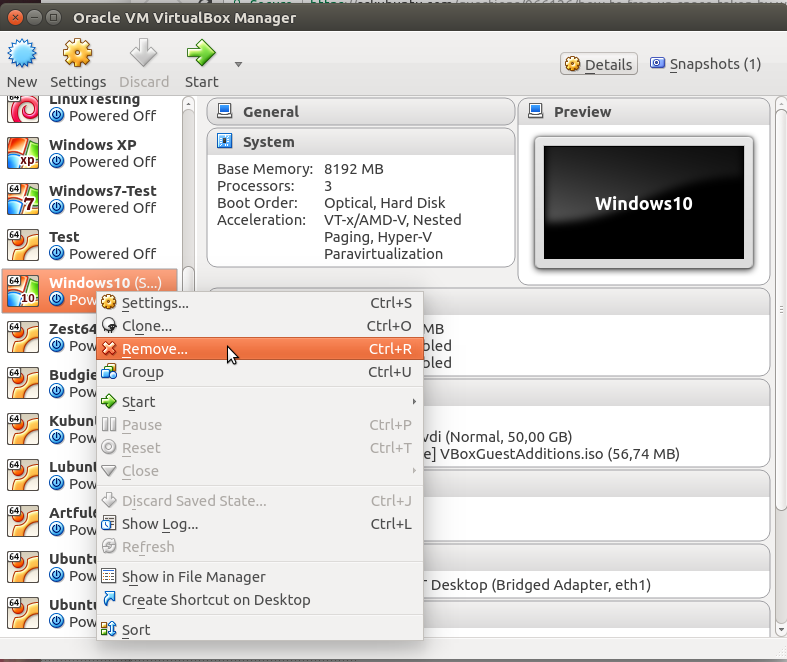 Browse other questions tagged virtualbox windows-7 or ask your own question. How do I increase the hard disk size of the virtual machine? How to properly create a virtual machine for Windows?